I got some really awesome presents for Christmas this year. (Like the Raiders jersey I’ve been asking for the last four years. Thanks Mr Liu!) Two presents are even knitting related. 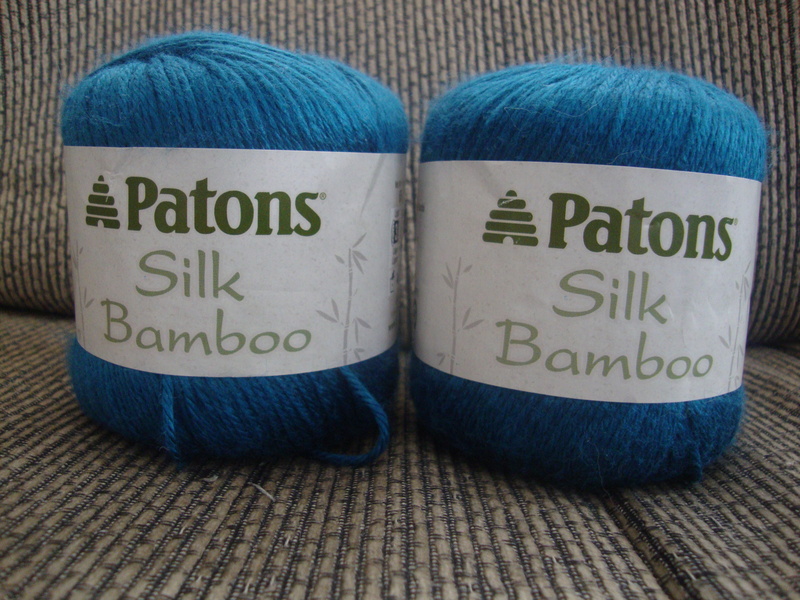 204 yards of Patons Silk Bamboo in Sapphire. This is some of the softest yarn I’ve had the pleasure of petting. Even BabyLiu likes to rub it against her face. I want to make a scarf or shawlette with it because it would be pure heaven against my neck. I need to troll Ravelry for some ideas. A gift set that has a skien of Lorna’s Laces new Solemate in Zombie BBQ (how awesome is that colorway name?) and a tub of Heel (from the makers of Soak) in Cucumber. The Heel smells heavenly and I’m in love with my yarn. Soulmate is merino, nylon, Outlast blend. Outlast is supposed to work with your body to prevent you from becoming too hot or too cold, which should make for some comfy socks. Lorna’s Laces makes some of my favorite sock yarn and I’m thrilled to have something to add to my not inconsiderable stash of Shepherd Sock. This entry was posted in Stash, Yarn. Bookmark the permalink.